A new year represents a great time to commit to making a positive difference in the world. I always try to ask myself, “What is the biggest impact I can make in sustainability?” I assess how I, as an individual, can make a greater difference. This question has driven me to pursue a career in sustainability and work for a solar company that I believe is the best in the business. In many parts of the world, solar energy offers a unique opportunity to help communities that lack basic access to electricity. So when such an opportunity recently presented itself to me, I jumped at the chance. 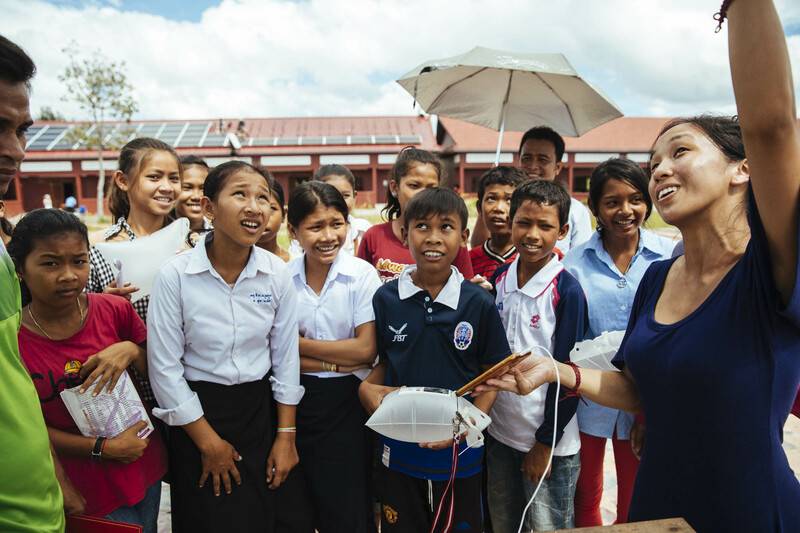 Late last year I traveled to Siem Reap in Cambodia with Twende Solar to help install a solar power system at a middle school in dire need of a more reliable affordable source of energy. 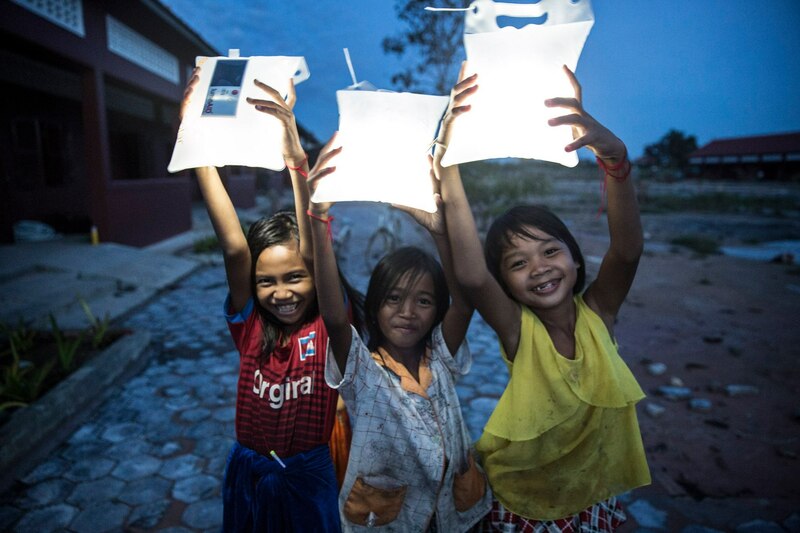 Why Bring Solar Power to Cambodia? Cambodia has some of the lowest electrification rates in Southeast Asia. According to recent reports, some 6.9 million residents have no access to electricity. Experts estimate that Cambodia receives enough sunlight to generate 8,100 megawatts at peak generation for a yield of 12,000 gigawatt hours of electricity every year. This is clearly a country that is ripe for solar installations. Twende Solar is a non-profit organization dedicated to empowering energy-deficient communities worldwide with renewable energy systems. In partnership with the newly built Stephen Mazujian Middle School, Twende designed a 26 kilowatt off-grid PV system. Serving some of the poorest communities in Siem Reap, where the student drop out rate can reach 60 percent or higher by middle school, the Stephen Mazujian Middle School stands as a beacon of hope and opportunity for local youths. The team at Twende Solar spent 10 months planning and raising funds for the solar installation project. In October, a group of 14 volunteers, including myself, traveled to the school for the week-long endeavor. Twende’s solar team has estimated that the solar system will produce more than 36,000 kWh of electricity each year. This will be enough to power all of the school’s current and future requirements (with enough left to provide energy for a high school that is to be built nearby). A solar-powered cell phone charging station installed in the school’s courtyard that the community can use so adults won't disrupt classrooms by walking in to use their power supply. No longer needing to pay $1/kWh for a diesel generator, freeing up funds to spend on academic offerings or equipment and facilities. Increased operating revenue raised by selling surplus electricity to the community. While this project was possible thanks to the sweat equity of the volunteers, financial support was also required to make the trip and installation possible. SunPower employees stepped up and helped me raise more than $5,000 for the project, and the company, a project sponsor, contributed matching funds as well. This money will help power 50 laptops for five school years, so this is a gift that will keep on giving as the students advance each year. Through the SunPower Horizons™ program, which provides solar education plans to SunPower school customers in the U.S., we also provided the school with solar curriculum so the students and teachers can learn more about the technology powering their school and to encourage careers in science, technology, engineering and math. The lesson plans include educational materials and resources, along with 10 solar kits. Each kit includes a box of 10 solar panels, 10 motors and fans and five multimeters. Teachers will use these kits to support science experiments. I’ve always been an avid traveler, but in 2011 I volunteered with Global Environmental Brigades to install eco-latrines for residents in a rural town in Panama. The goal was to improve water management practices, given that the town’s supply came from merely two streams of fresh water. This trip opened my eyes to volunteering and traveling at the same time. Volunteering made traveling more meaningful to me. I knew working with Twende Solar and their partners, Green Empowerment and Global ADE, in Cambodia would be an ideal situation for me to donate my time, effort, skills, network and knowledge. Now I have a newfound place in my heart for the students of the school and Cambodia. Elementary school children living nearby would visit us while we worked at the school. The first day they smiled and waved from a distance. The second day they started playing with our solar-powered lanterns. The next day, their interest grew, and they started to learn about how our solar fans worked. Their presence provided much needed laughs and morale boosts in the afternoons. They were pure reinforcements to us volunteers that all the blood, sweat and tears we were shedding for this project was worth it. We were there to help the next generation; this project was for the kids. I also learned from talking to high school students that most of the schools in the area didn’t have any electricity. The middle school was fortunate to at least have a diesel generator. During my trip I often heard the rumbling white noise of the generator powering fans to cool us off from the 100-degree weather. The concrete moment for me came on the final day of the project when the solar system was fully connected. I walked into a classroom and every fan was on. No rumbling, just silence. This is what clean energy is all about. If we can show the powerful impact of clean renewable energy to a community of hundreds of students and teachers, the scalability and scope of replicating similar installs on other schools in the area or anywhere in the world is huge. I would love to one day visit again to see how this solar system has helped sustainably raise the community's standard of living and allowed the students to learn in a more comfortable environment while receiving a quality education that will help them out of poverty. My only hope now is that my story inspires you to create your own adventure and volunteer to support the causes that are important to you starting this year and beyond. Twende Solar hosts multiple international projects annually for industry professionals to lend their time and expertise to expand the use of renewable energy in developing countries. Watch their inspiring video of the Cambodia project. For volunteer opportunities within the United States, many SunPower employees volunteer regularly with Grid Alternatives, which helps provide solar systems for families in need. To learn more or to help, visit http://www.twendesolar.org or http://www.GRIDAlternatives.org.